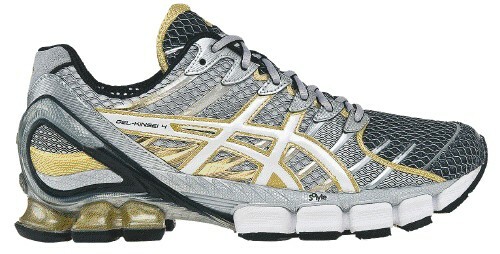 The GEL-Kinsei 4 is billed as ASICS' most innovative top-of-the-line runner to date. Billed as the brand's most innovative top-of-the-line runner to date, ASICS is set to drop the brand new GEL-Kinsei 4, the latest in a series that initially launched in 2005. Known as ASICS' "House of Innovation," the GEL-Kinsei is often the starting point for technologies that appear on other ASICS performance models. 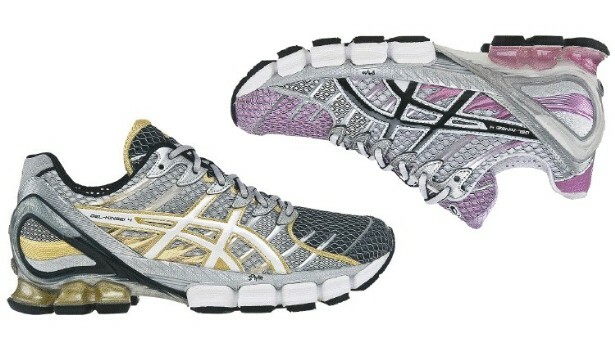 The main goal with the fourth version of the GEL-Kinsei was to decrease the weight of the existing technologies to improve the shoe's overall performance. This time around, almost a full ounce was shed off the weight of the previous model, dropping from 12.8 ounces to 11.9. As a result, the GEL-Kinsei 4 was improved in several other ways. A redesigned Heel Clutch Counter system replaces the internal heel counter with an external counter, reducing heel slippage. New forefoot tooling, now decoupled to create five separate pods, improves flexibility and cushioning. Lastly, the reduction of synthetic reinforcements and overlays on the upper enhances comfort and fit. Once again, the GEL-Kinsei will make use of Cuprotherm Mesh, which controls temperature by retaining heat in cool weather and releasing it when it's hot. 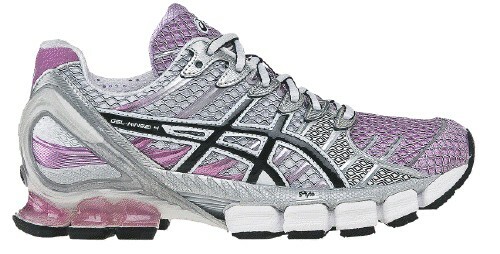 Retailing for $185, the GEL-Kinsei 4 will be available to purchase at specialty running stores on May 1st.